Really lovely evening, as always. Thanks to the brilliant Quinssa for organising. Nick spoke at length about the work he put in to become an All Black and our own club legend. He touched on the excitement he felt at certain key moments in the club's history and how the players knew they could beat Leicester if they got to the 2012 final. They had worked out what to do having lost to them in the league. He also spoke about the quality of the current training; short, sharp and focused to replicate the game. No pointless standing around!!! He spoke about Marcus Smith's competitiveness and desire to learn, which was lovely to hear. Another good fun evening. 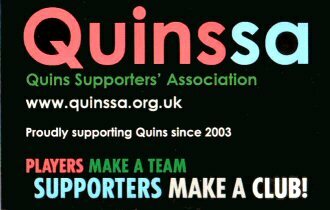 Thanks to QUINSSA for organising. Agreed - I especially liked the Brian Moore story! NEv came across as a thoroughly nice chap, and a very astute student of the game. Fully bought into Gustard's coaching regime too.